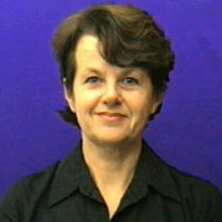 Dr Susan McKay’s research interests include media theory, discourse analysis, media representations, magazine research. Structures and Strategies: An Introduction to Academic Writing (with Lloyd Davis). McKay, Susan (2011). Language and the media. In Rajend Mesthrie (Ed. ), The Cambridge handbook of sociolinguistics (pp. 396-412) Cambridge, United Kingdom: Cambridge University Press. McKay, Susan (2010). Communicating health risk to teens in non-news formats. In: Giacomo Bottà and Marja Härmänmaa, Language and the Scientific Imagination: Proceedings of the 11th international conference of the International Society for the Study of European Ideas (ISSEI). ISSEI 2008: Language and the Scientific Imagination. The 11th international conference of the International Society for the Study of European Ideas, Helsinki, Finland, (1-13). 28 July-2 August 2008. Davis, Lloyd and McKay, Susan Structures and strategies: An introduction to academic writing. South Melbourne, Australia: Macmillan Education Australia, 1996. McKay, S. B. (2006). Health and the media. In K. Brown (Ed. ), Encyclopedia of Language & Linguistics 2nd ed. (pp. 253-255) UK: Elsevier Ltd.
McKay, S. B. (2006). Media and language: Overview. In K. Brown (Ed. ), Encyclopedia of language & linguistics 2nd ed. (pp. 597-602) Amstedam, The Netherlands: Elseiver. McKay, Susan B. (2006). The discursive construction of health risk in magazines: Messages, registers and readers. In Gotti, Maurizio and Salager-Meyer, Francoise (Ed. ), Advances in Medical Discourse Analysis: Oral and Written Contexts 1 ed. (pp. 311-330) Bern: Peter Lang. Mckay, S. B. (2005). Communication and 'risky' behaviour in adolescence. In A. Williams and C. Thurlow (Ed. ), Talking Adolescence: Perspectives on Communication in the Teenage Years 1st ed. (pp. 265-281) New York: Peter Lang. Gallois, Cindy, McKay, Susan. and Pittam, Jeffery (2005). Intergroup Communication and Identity: Intercultural, Organizational, and Health Communication. In Kristine L. Fitch and Robert E. Sanders (Ed. ), Handbook of Language and Social Interaction (pp. 231-250) Mahwah, New Jersey: Lawrence Erlbaum Associates, Inc..
McKay, S. B., Thurlow, C. and Toomey Zimmerman, H. (2005). Wired whizzes or techno-slaves? Young people and their emergent communication technologies. In A. Williams and C. Thurlow (Ed. ), Talking Adolescence: Perspectives on Communication in the Teenage Years 1st ed. (pp. 185-203) New York: Peter Lang. McKay, Susan (2008) Advice columns as cultural intermediaries. Australian Journal of Communication, 35 2: 93-103. McKay, S. B. (2005) Review: Cultural Sutures: Medicine and Media, Friedman, Lester D (ed). Media International Australia, 117 153-154. McKay, S. B. (2001) Beyond Biomedicine: Renegotiating the Sick Role for Postmodern Conditions. M/C, 4 3: . McKay, S. B. and Rintel, E. S. (2001) Interacting with Reality TV. M/C Reviews, Reality TV . McKay, S. B. and Rintel, S. (2001) Online Television Forums: Access, Interactivity, and Transactional Space. EJC (Electronic Journal of Communication), 11 2: 1-19. McKay, Susan and Pittam, Jeffrey (1993) Ethnic identity and the human interest story: Vietnamese in Brisbane. Australian Journalism Review, 15 2: 51-62. McKay, Susan (1993) Representations of the Vietnamese in the letter columns of the Daily Press. Australian Journal of Communication, 20 1: 99-115. Pittam, J. and McKay, S. (1991) The Vietnamese: Representations in Brisbane's press. Australian Journal of Communication, 18 1: 90-106. Identity and communication: Who collaborates in collaborative research? Riedlinger, M. E., McKay, S. and Gallois, C. (2004). Identity and communication: Who collaborates in collaborative research?. In: B. Bonmati, 8th International Conference, Public Communication of Science and Technology (PCST-8), Scientific Knowledge and Cultural Diversity. Public Communication of Science and Technology (PCST-8), Barcelona, Spain, (423-424). 3 - 6 June 2004. Riedlinger, M., McKay, S. B., Gallois, C. and Pittam, J. F. (2001). Communication & Behaviour Change in the Murray Darling Basin. In: Situating the Environment at the University of Queensland. Situating the Environment at the University of Queensland, St Lucia, (82-90). 15-16 February, 2001. Riedlinger, M. E., McKay, S. B., Gallois, C. and Pittam, J. F. (2001). Scientists and the community: The role of group identity in environmental behaviour change. In: W. Noble, Australian Journal of Psychology Combined Abstracts of 2001 Australian Psychology Conferences. The Seventh Annual meeting of the Society of Australasian Social Psychologists, Melbourne, Victoria, (126-126). 12-15 July 2001.